The Nexus 9 is a fine piece of kit and the Taiwanese company plans to push it not only towards a consumer crowd but also, interestingly, towards a more lucrative business market. The contract to do that has been awarded to Tech Data, a big name in the UK technology distribution market, and one which was secured amidst "strong competition from other mobile distributors". Commenting on the appointment, HTC' Hervé Fontaine, European Sales Director, stated: "With its established reputation and reach in the B2B sector, a growing presence in the consumer market and a focused and dedicated approach to tablet business development, Tech Data is the ideal distribution partner for the Nexus 9, designed by HTC." Tech Data reckons that the "enhanced apps performance and features" on the Nexus 9 will help it grow HTC's new tablet both with consumers and businesses. Shipments of the Wi-Fi version will start in early November with the LTE version due later in 2014. 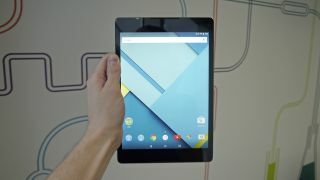 The new Nexus 9 comes with a dual-core Nvidia Tegra K1 64-bit system-on-chip as well as Android 5.0 Lollipop. Google's newest mobile operating system comes with a slew of business-focused features like Android Smartlock or automatic encryption.